Spending a month looking at old books, in a library that could be part of a Harry Potter movie set: priceless. 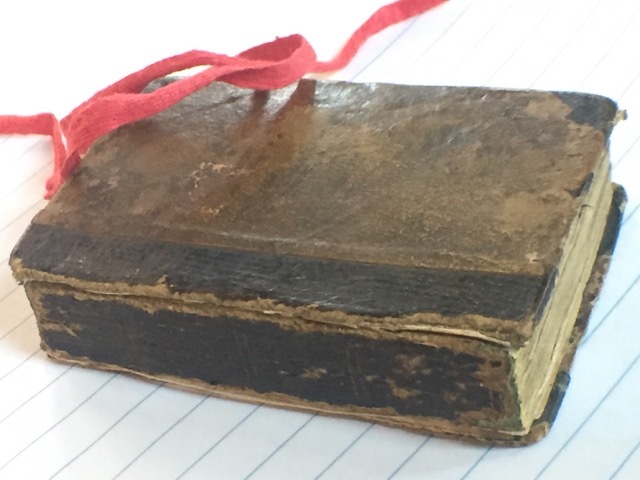 Appreciating the book as an object is easy to do when said books are such items of beauty that they demand you stop, hold them delicately, and breathe in their history. Having just returned from a month as the 2017 Bechtel Fellow, I’d like to share with you a few of the beautiful treasures I discovered. I took hundreds of photographs of illustrations in these books, but I also stopped to look at the beauty of the book as a book. 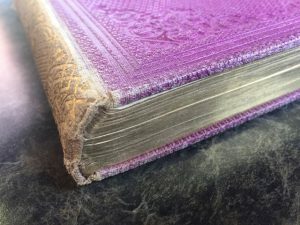 Some of these tomes had real marbled endpapers or gilt edges. Many had embossed and gilded illustrations on the covers and spines. Some were just so old or worn that the fact they still existed, tucked away in their archival boxes, was their source of beauty. 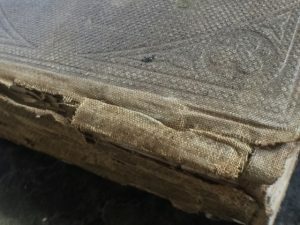 Often these falling-apart books allowed me to examine the bookmaking aspects of the era, as one could see the gatherings, the materials used, and the way the boards were attached. Many of these fine examples were purchased as gifts, as the inscriptions showed. Most were inscribed as Christmas gifts, though some were for birthdays. 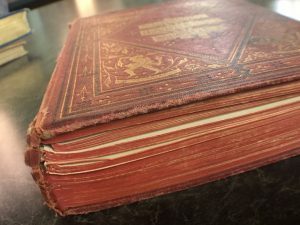 As Victorian publishers brought out their finest editions in the Christmas season, it makes perfect sense that these gift books were so inscribed. 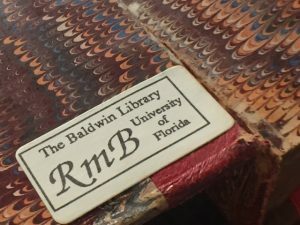 As a researcher, the reason for the books being available is often as interesting as the book itself. Some of the books were limited editions, others were inscribed first editions. 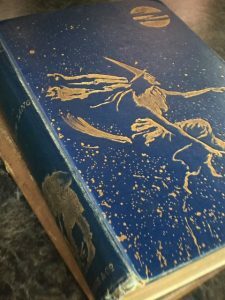 The thrill of holding one of 750 that Arthur Rackham held in his hand to sign, or a small edition that Christina Rossetti set ink to is hard to describe. Only a true bibliophile will understand. Many of the books smelled wonderful. (Yes, I am a book sniffer). Some of them had that rich vanilla scent, that woody, almost-musty-but-not-quite aroma. I had to carefully hold my nose away from the fragile paper, and take a deep whiff without getting sunscreen on the 150-year old pages. I leave these objects of beauty here for you to peruse. Enjoy their loveliness as I have.